The ultimate Disney on Ice experience is at Birmingham's Genting Arena from April 12 to 16, 2017. 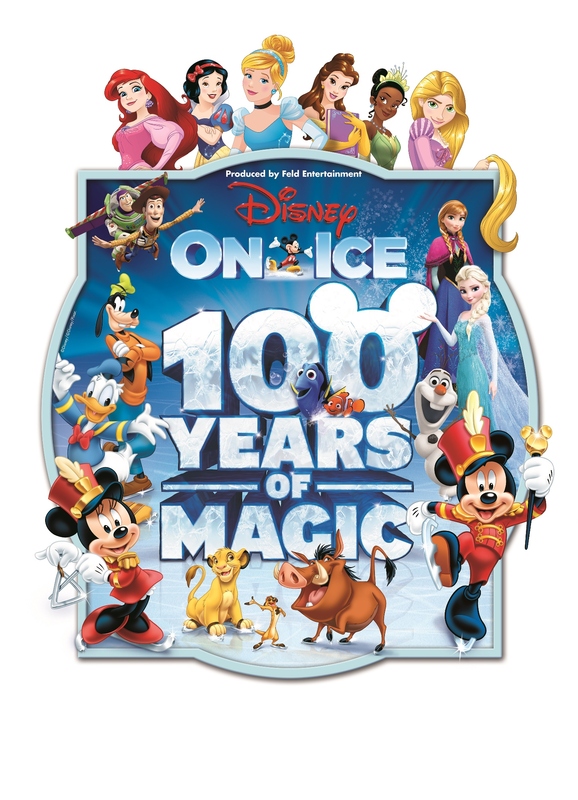 The sensational skating spectacular celebrates 100 years of Disney magic with more than 50 unforgettable characters, a sing-along score of melodious masterpieces, stunning choreography, beautiful costumes and intricate sets. Directed by Patty Vincent, it's a production that spans the history of Disney movies. Mickey Mouse, Minnie Mouse, Donald Duck and Goofy take to the ice with a host of friends, from Pinocchio to the stars of Frozen, the number one animated feature film of all time. Frozen's royal sisters, Anna and Elsa, are special guest performers, entering the kingdom of Arendelle and journeying up the North Mountain with hilarious snowman Olaf and rugged mountain-man Kristoff to discover that true love conquers all. The audience will travel to the heart of Africa with The Lion King, have an adventure with the gang from Toy Story and watch in amazement as Belle breaks the Beast's curse in the tale of Beauty and the Beast. The collection of Disney melodies includes Hakuna Matata, You've Got a Friend in Me and Let It Go. Fans can also rock out with Squirt and his turtle friends from Finding Nemo with Turtle Rock. There's also a musical montage of dazzling prince and princess pairs skating to At Last I See the Light and A Whole New World. Choreographers Cindy Stuart and Sarah Kawahara have created ambitious production numbers to showcase each tale, reflecting the individuality of the 14 stories while staying true to the legacy of Disney. Memorable moments include Aladdin's comical genie duplicating in front of the audience and the energetic moves of Mickey and Minnie's marching band. Complementing the skating sequences are colourful costumes designed by Scott Lane and Greg Poplyk, ranging from the citizens of Arendelle to the stars of Finding Nemo. The bright colours and minimal structure in the underwater creature costumes allow the characters to move freely in order to mimic the natural movement in water, whereas the attire for the citizens of Arendelle provides a seamless transition from summer to winter. The sets and props, designed by David Potts and Robert Bissinger, include a traditional Chinese dragon in the festival on ice from Mulan and Elsa's ice palace from Frozen which builds itself from the ground up, complete with a majestic staircase and icy curtain. "This particular production is by far the largest Disney On Ice show we currently have touring, bringing together everyone's favourite Disney characters from Snow White, Donald Duck, Mickey Mouse and Minnie Mouse to Elsa and Anna," says co-producer Nicole Feld. "Our vision is for audiences everywhere to dance and sing along to their favourite Disney songs, so we've included 30 tunes that they know and love." Adds her father and show co-producer Kenneth Feld: "This is a show, more than any other, that is truly for everybody. "When I sit with the audience, I see those that are grandparents, like I am, enjoying a lot of the classic Disney stories, while young kids and young parents really respond to Frozen and all the latest Disney stories and animation."